Keep your drink out of the sand. This spike was designed as a quick product development project to learn the ins and outs of bootstrapping a simple product. As the project unfolded, it took on a life of its own. 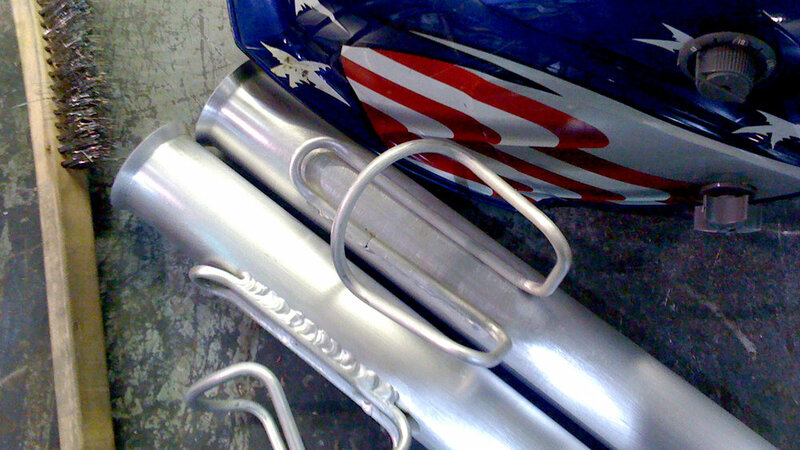 Spikes have been shipped all across the country, with seasonal sales increasing year over year. These sand spikes are created from color anodized aircraft grade aluminum and built to last a lifetime. They are the only spikes with an integrated drink holder, and they're for sale here. 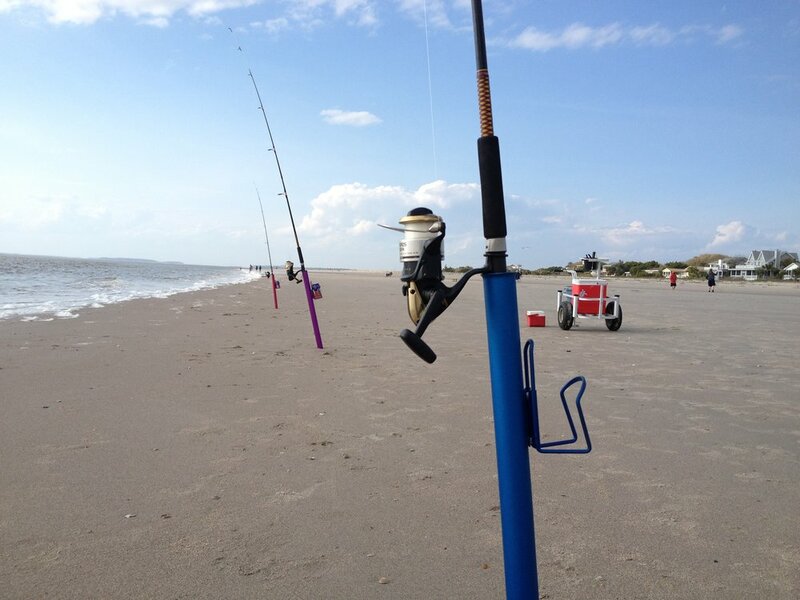 Many surfcasters (fishermen who fish from a beach) love to crack a beverage (or two) during the wait for a strike. 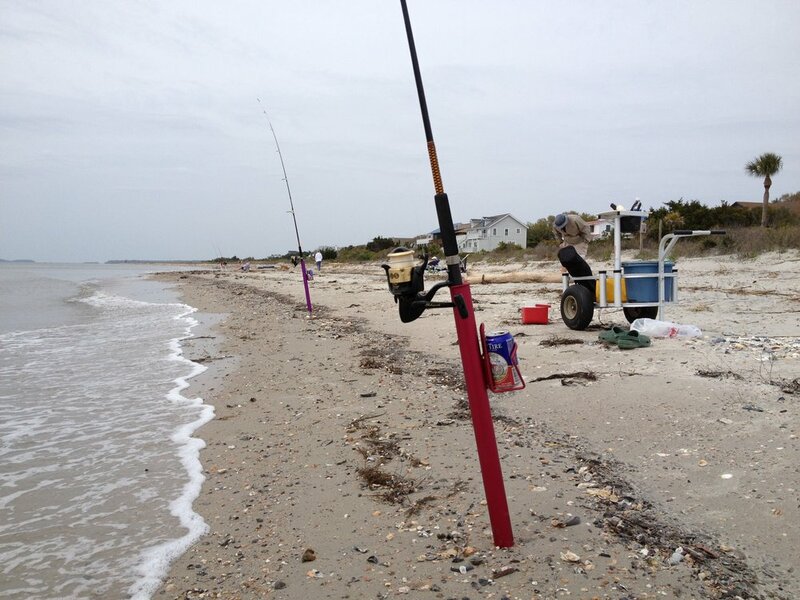 As cans are left in the sand while fishermen reel in their catch, their frosty sides accumulate sand which, when transferred from can to hand to reel, slowly destroys expensive fishing equipment. Further, commonly available sand spikes are cheap, PVC affairs that often last only a single season and are non-recylcable. 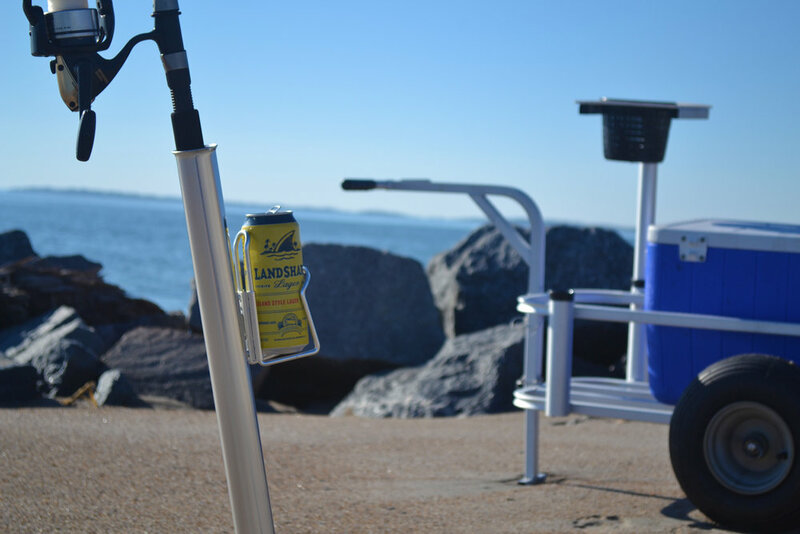 There is an opportunity for a device that combines the function of a sand spike — to hold a fishing rod or umbrella — with that of a drink holder to keep frosty beverages out of the sand. There is a further opportunity to design a sand spike of high quality, recycled materials that will last a lifetime. The solution is a sand spike made from high quality, recyclable material that includes an integrated holder for a beverage can. 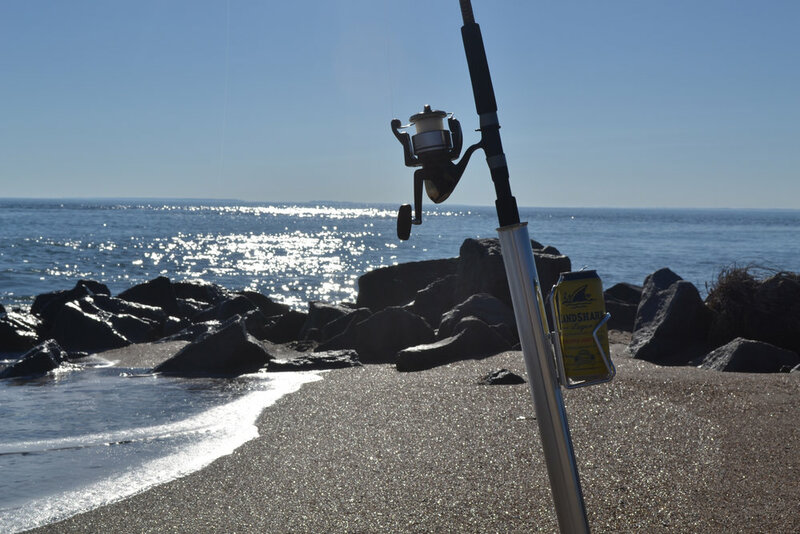 Every surf fisherman and beach-goer has had the experience of putting a drink down only to find it covered with sand when you pick it back up. 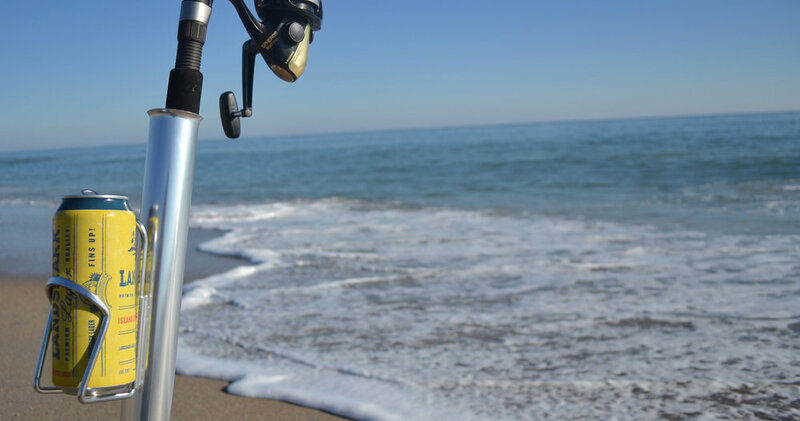 This is a particular frustration when fishing, because sand destroys your reel. This sand spike was design to eliminate that problem by coupling a drink holder with the spike. Unlike cheap PVC spikes (often lasting only a single season), these rod holders are made from aircraft grade aluminum and available in six anodized colors to provide a fun, corrosion-resistant finish that delivers years of reliable service. 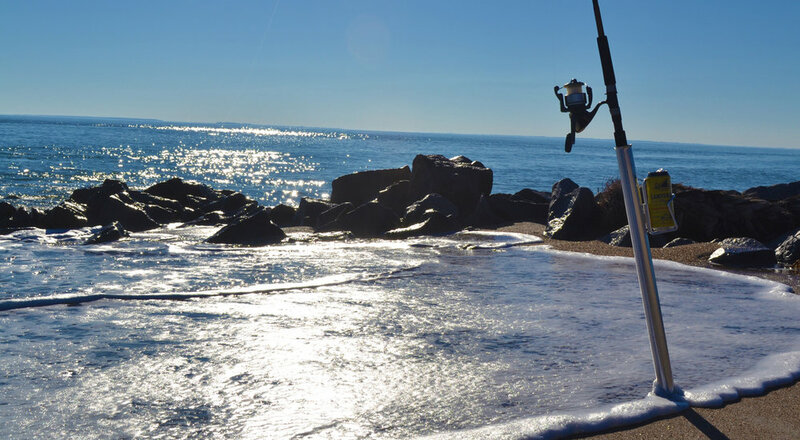 This high quality spike is a sustainable, high value alternative to disposable sand spikes that provides additional function by eliminating the problem of sand. 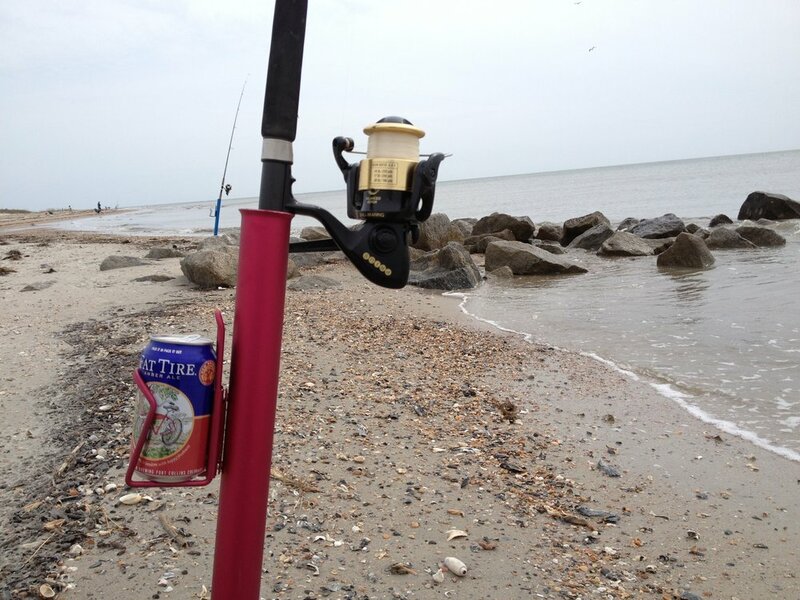 The BeerCaster Sand Spike is available for sale through Corsair Concepts, LLC. Please click here to check it out! "I came up with this concept several years ago. I was searching for a product design that could be executed quickly and with minimal tooling costs to gain personal experience in start-to-finish product bootstrapping. Through this project, I learned all the extra steps that happen after a product is designed — from selecting and working with an international manufacturer to getting set up for internet sales, credit card processing and dealing with retailers. The experience was amazing — and profitable — and I've leveraged it repeatedly to help clients bootstrap their own, similar businesses." "A project like this can really make a difference for an inventor. It may not be a "million dollar idea," but even a $10,000 / year idea can represent a significant improvement in a person's personal finances."